Hands on Fire Massage, LLC. 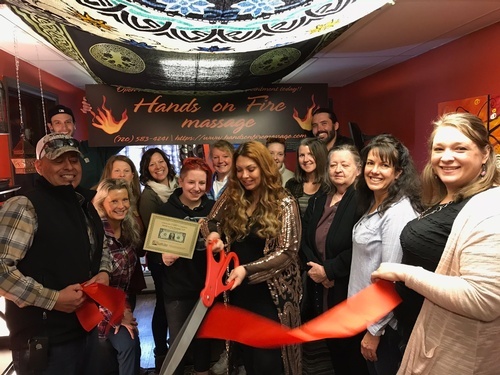 Hands On Fire Massage, LLC , provides therapeutic massage services in Conifer and Evergreen! We will custom cater your massage experience to take healing to a higher level. By working with you physically, emotionally, and spiritually; we support a holistic mind-body approach to wellness rather than drawing on just the physical. Different hands-on techniques are used in integrated massage to promote physiological changes. We have extensive and unique therapeutic massage training and experience. 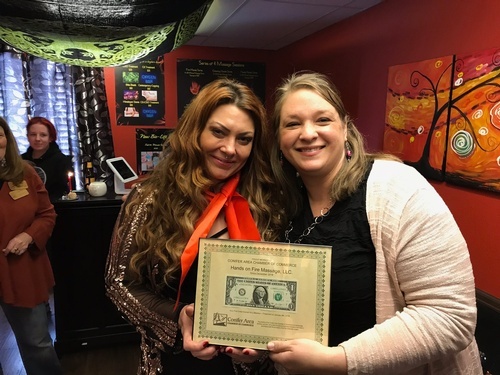 Specializing in Deep Tissue Massage, CBD Massage, Thai Massage, Trigger Point Therapy, Sports & Injury Massage, Neuromuscular Massage, Myofascial, Reflexology, Ancient Chinese Fire Cupping, Himalayan Hot Stone Massage, Reiki, Raindrop Therapy, Prenatal Massage, etc. We can also provide various services such as Detoxifying Foot Spas and Ear Candling. We provide discounted pricing for veterans, children and seniors, as well as package pricing, so please see our services menu by visiting our webpage for the endless possibilities. We look forward to taking your healing experience to a higher level! Located in Aspen Park on the North side of 285 in the log cabin building right next to Big O Tires.